If you need to hide a set of keys near your house, just in case you loose yours then check out this useful Sprinkler Hide-A-Key. There is no point hiding your keys under the doormat or in the plant pot next to the front door as that is the first place a thief will look, but it looks like the Sprinkler Hide-A-Key could be a great solution to where to store your spare keys. 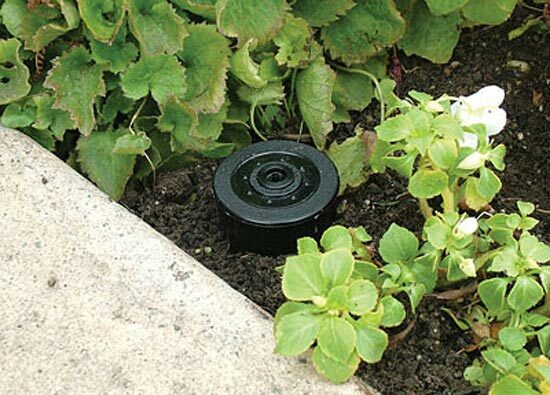 They will never find the Sprinkler Hide-A-Key (unless they have read geeky gadgets), it looks like a standard sprinkler head which you can plant anywhere in your garden and no one will realise it is hiding your keys. 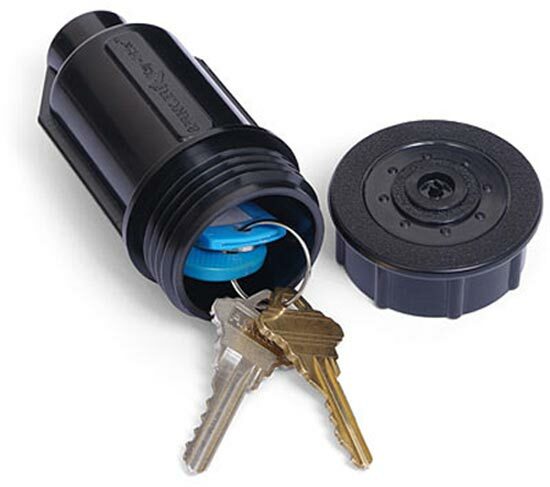 The Sprinkler Hide-A-Key is a tough water tight plastic case that will keep your keys safe, if you want one they are available for $5.99 from Think Geek .